Plenty of room for your bridge camera and accessories. 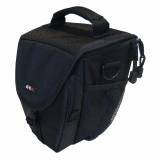 Protect your camera with the padded main camcorder compartment complete with adjustable padded divider. Small on the outside - with loads of space on the inside. There is no need lug around a huge camera bag anymore, as The Tardis Mini will accommodate a bridge camera and your accessories. With the Velcro self-positional partition, the Tardis mini gives you, the photographer, ample room to store your accessories in a section you decideon. Also you can take advantage of the GEM Quickdraw top-loading feature,meaning that you should never miss a shot again. 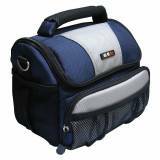 Throughout the bag there are five storage areas, great for those essential accessories. From cables and spare batteries to memory cards andinstruction booklets, the Mini Tardis has all the space you could ever possibly imagine. 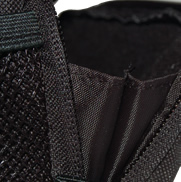 The front pouch of the Mini Tardis has built in wing flaps, meaning thatreaching your camera accessories is now easier than ever, without thechance of them falling out the side of the pocket when opened. The Tardis Mini boasts the 10mm padding you would expect from a high quality GEM product. 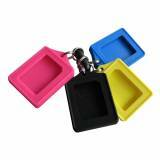 So from the moment the zips are closed, rest assured that yourexpensive camera and accessories are sealed and protected. 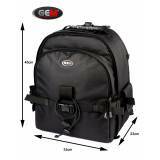 To make the bag easy to transport, a dedicated top carrying handle isprovided meaning you can just grab and go. 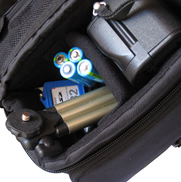 There are also other carry options, with the adjustable shoulder strap or fitted belt loop, meaning that you will never be that far from your camera to catch that all important shot. How would you feel if a badly placed zip scratched the screen of your much loved camera? Here at GEM, attention to detail is something we believe in. That is why we have screen protector flaps on internal zips. Just one detail that we are sure you will love. Colin October 15 Excellent bag that fits the Fuji X30 superbly. Well padded- protects the camera well. Particularly like the rubber "feet" underneath the bag to protect from wear. Enough room for camera, batteries and card containers.Not sure whether it is waterproof. Arrived safely and very quickly. B McLean January 15 This high quality case has been made very well and comfortably accommodates my Canon SX510HS camera together with its accessories. GEM Bridge Camera Case with room for accessories. 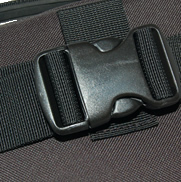 Carry using the belt provided, the shoulder strap or the rear belt loop.